Last week I visited multiple merchants that sell products and services business to business, most of them whom never see their customers. They all had desktop terminals. 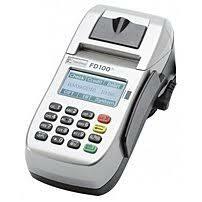 The FD100ti by First Data is a good quality retail terminal, but I wouldn’t recommend for business to business, card not present merchants. PROFITS REDUCED: It doesn’t support level III processing, critical for business to business merchants to save money on merchant fees. INCREASES RISK: It cannot store and tokenize credit card numbers for repeat billing so either card data is stored on paper forms or employees get the number over and over again, either way exposing the card number repeatedly. INEFFICIENT: Employees have to key enter full card data every time for repeat customers; data records are limited to whomever has access to accounting software, or waits for reports to be generated and disseminated. Tip: There are no desktop terminals that support level III processing. Merchants need a virtual terminal or integrated payment solution that supports level III processing. This entry was posted in CenPOS, Equipment-POS, virtual terminal and tagged level 3 data, Level III processing by Christine Speedy. Bookmark the permalink.